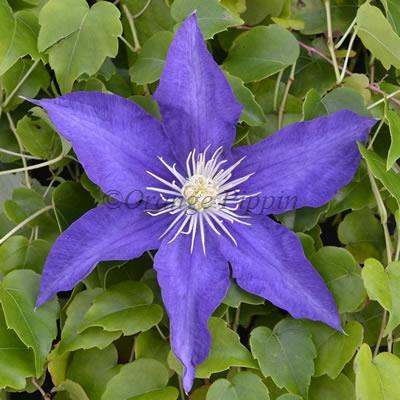 Of Japanese origin Clematis 'Haku-Okan' has beautiful, large, deep, purple-violet flowers with a prominent creamy-white centre during May, June and September. 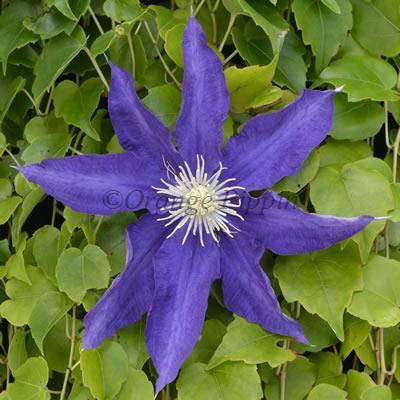 Clematis Haku-Okan' was raised by Esio Kubota of Japan. The name means "white royal crown".